JP 2012-11-07 ¥1,300 ×3 ? US 2012-12-19 $9.99 ×3 ? JP 20xx ¥1,300 ×3 ? US 20xx $9.99 ×3 ? UK 20xx £7.99 ×3 ? EU 20xx €8.99 ×3 ? 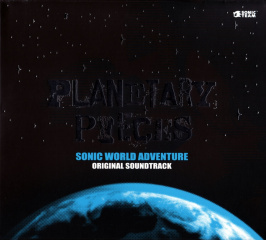 Visit Planetary Pieces: Sonic World Adventure Original Soundtrack on Sonic Retro for the full article.